This Classroom Lock-down Kit includes everything you would need to allow a class of 30 people to get through an emergency lock-down situation for an extended period of time. 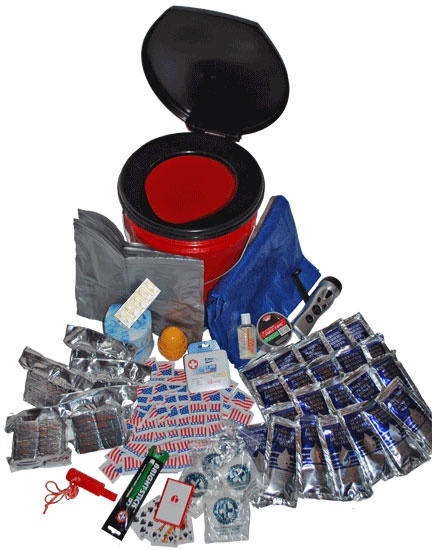 All items are packed securely in our 5 Gallon Bucket with Toilet Seat Lid. This classroom lock-down kit was designed using advice from experts in the emergency preparedness industry. It follows guidelines given by government agencies and non-profit preparedness organizations. This 30 person deluxe classroom lockdown kit has a retail value of $160.